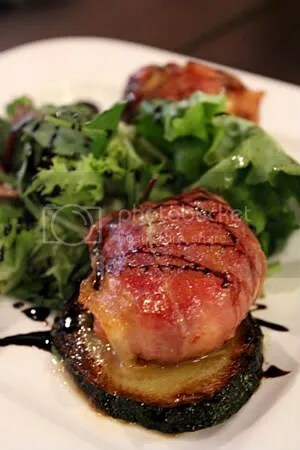 For starters, we had the daily special of buffalo mozzarella wrapped with parma ham. A huge disappointment for me since buffalo mozzarella is my favourite and one of the few cheeses I actually eat. It was dry, not the milky and moist texture that I was looking for. The parma ham itself was too salty and tough. It’s a bad combination I say (but of course I must qualify that I am never a fan of this salty ham), and to pan-fry it does the beautiful cheese no favours. 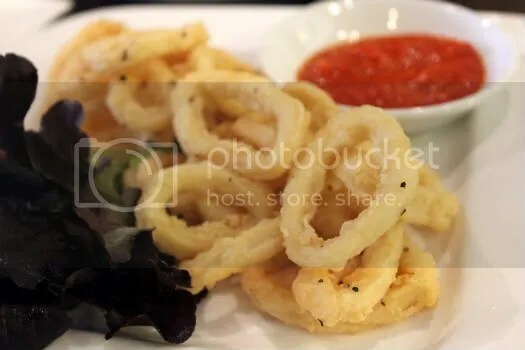 Lightly battered with crispy outsides, these rings of calamari were a delight as compared to the former. Season it with more black pepper and I would safely say they whip up a pretty good rendition. A winner! 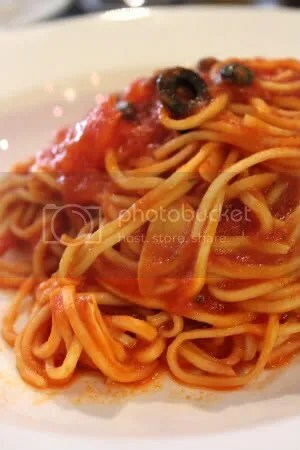 Oglio Olio is the hardest pasta to make in my opinion precisely because of its simple ingredients. 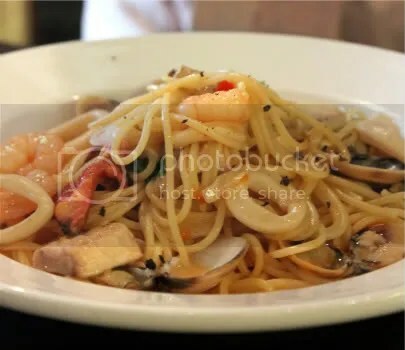 Each strand was was wonderfully oiled and the chunks of seafood tossed in made this ordinary pasta extra special. A bad choice. Can’t exactly remember the name but it was under the hand-made pasta list and it has anchovies. Don’t get me wrong, the pasta itself was slurp-worthy but where’s the anchovies? Boring boring. Decided to try something other than their pastas and thank goodness it turned out okay. The capsicum sauce was refreshing, not too sour like the usual tomato sauce with the naunced sweetness of the fleshy bell pepper. Wiped it all up with the tender meat of my lovely chunk of seabass. And the skin? Crusty with the heat of black pepper with every bite. 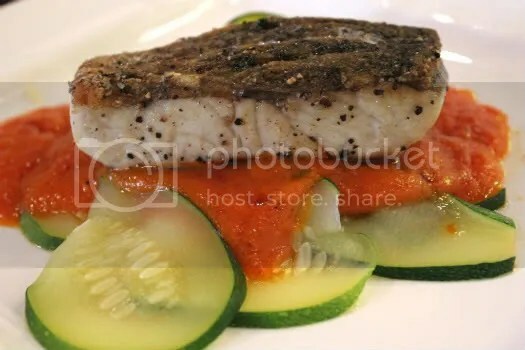 The soft cucumber slices added the extra texture to the dish and balanced out all the flavours. Haven’t had such excellent fish for the longest time! 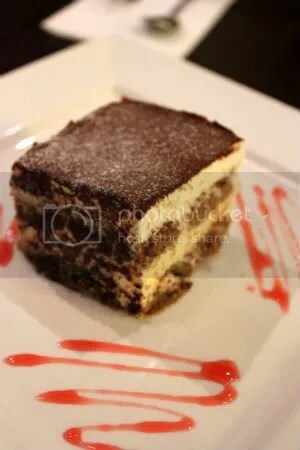 And to end it all, a slice of tiramisu. An excellent choice thanks to myfoodsiren’s recommendation (: No alcohol here but there’s seriously no need. Just the bitterness of expresso with the mild cheesiness of mascarpone cheese- enough to make my day. A little stained on the track record this time (seeing my raving reviews previously) but nonetheless still a keeper!